Beryl Gilroy was a significant figure in the literature of the UK diaspora. She died in April 2001 of a heart attack at the age of 76. Gilroy was a novelist, a writer of children’s books, London’s first black head teacher and one of Britain’s most significant post-war Caribbean migrants, with much of her novel writing taking place in the last decades of her rich life. The mid-1980s onwards marked her major creative period. Her first adult novel, Frangipani House (1986), set in Guyana, explored issues of aging, hitherto absent in West Indian novels. 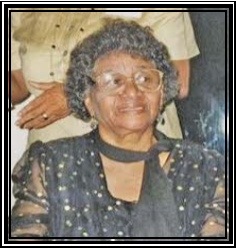 A trained teacher in Guyana, Beryl always maintained that her decision to go for further study in England, instead of the United States, was decided by exchange rates rather than visions of Britain.